“Christian in a Changing World” is a 3 night Parish Mission that was offered February 22-24, 2015 at Cathedral of Christ the King. The presentations help us understand how we walk our spiritual journey through the ups and downs of life. What external measures can I use to evaluate my life? What are the patterns I see? 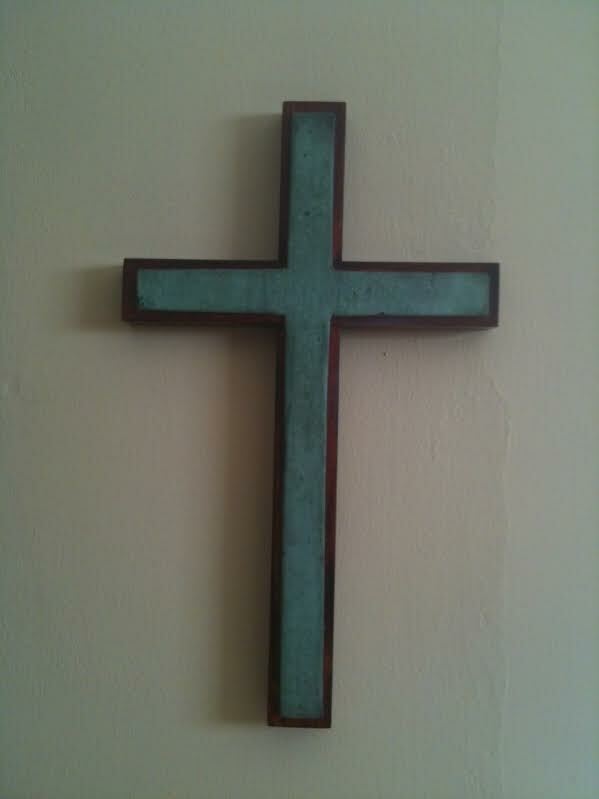 Does this help me be a better disciple of Christ? These questions focus on our “spiritual fitness” as we seek to live as healthy and Christ centered disciples. Our ability to journey in faith depends in some part on our conditioning: are we cultivating a healthy and holy pattern of life? WHAT do we do with the “stuff” in our lives? WHO are the people in our lives and how do we relate? The purpose is to find our way – making sure that we are headed in the direction that leads us closer to Christ and one another. It’s about keeping focused on the path that heads toward Heaven, and each of these aspects can give us clear signs that either confirm or challenge our direction. 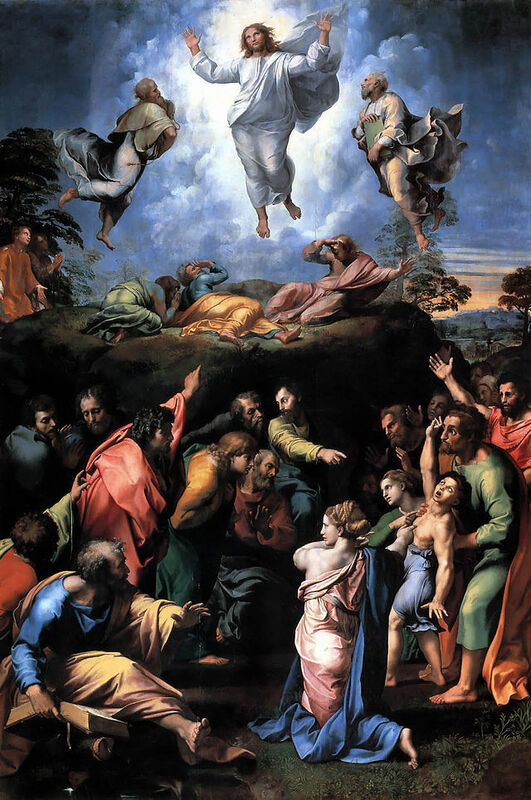 The Transfiguration, Raphael; 1516-1520, oil on wood, 405 cm x 278 cm, Pinacoteca Vaticana, Vatican City. 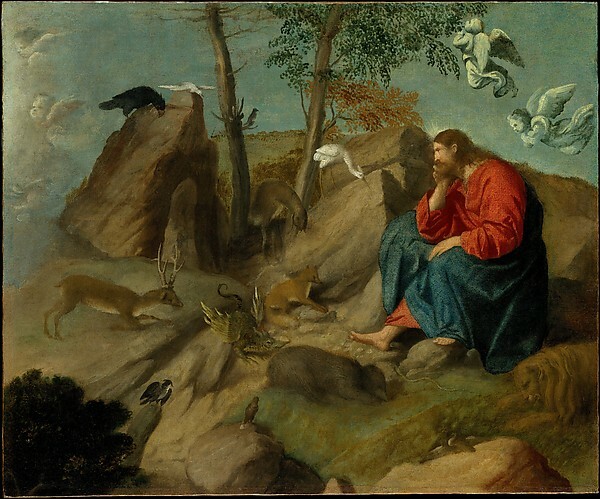 Christ in the Wilderness, Moretto da Brescia (Alessandro Bovicino); 1515-20, oil on canvas, 45.7 x 55.2 cm, The Metropolitan Museum of Art, New York. Study: Reflect on a moment when sin has touched your life. Where did you find God’s grace at work? Pray: Take some time for personal reflection. Make this an Examination of Conscience to recall how God continues to touch your heart and bless your life. Serve: Consider a simple and practical way that you can care for another this Lent. Something personal…something real. These are the words we hear today as we come forward to begin a new Lent. We physically mark our foreheads – smudge them with grimy ashes – to recall the simple fact that we are all sinners and stand in need of God’s mercy. And what great mercy it is! Perhaps that’s why we pause. We need mercy. We crave forgiveness. We hunger to be loved simply and gently, no strings attached, no conditions required. 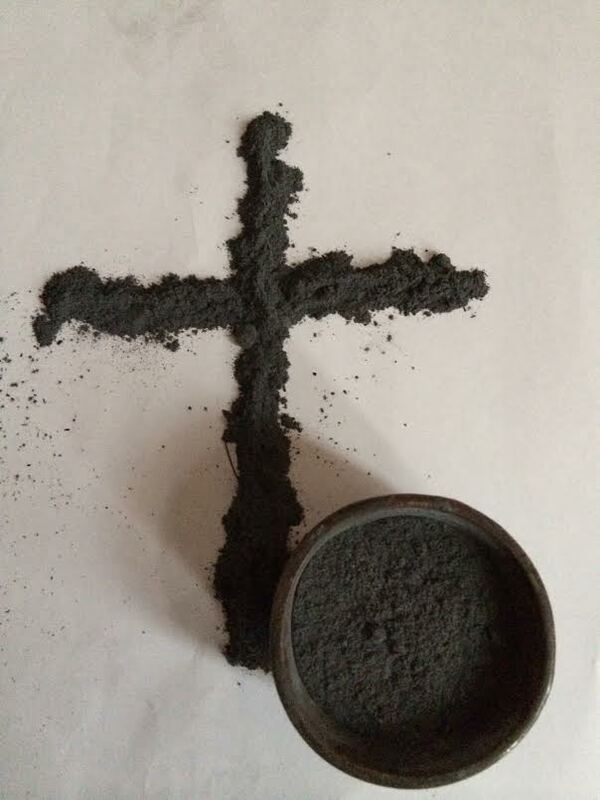 These ashes remind us that we need….God. Pause today. We reflect on what is broken or wounded in our lives – to discover where we are hurting. Then look outward. This is our opportunity to consider how we have broken or wounded others – recognizing that perhaps another has suffered through our thoughts, words, or deeds. NOTE: This post was first published on February 26, 2014. I share it once again because I know that if we take a little time now to prepare our hearts then this holy season comes alive with grace and power. May this podcast and the ideas listed below help us all make this Lent the best ever! Fr. 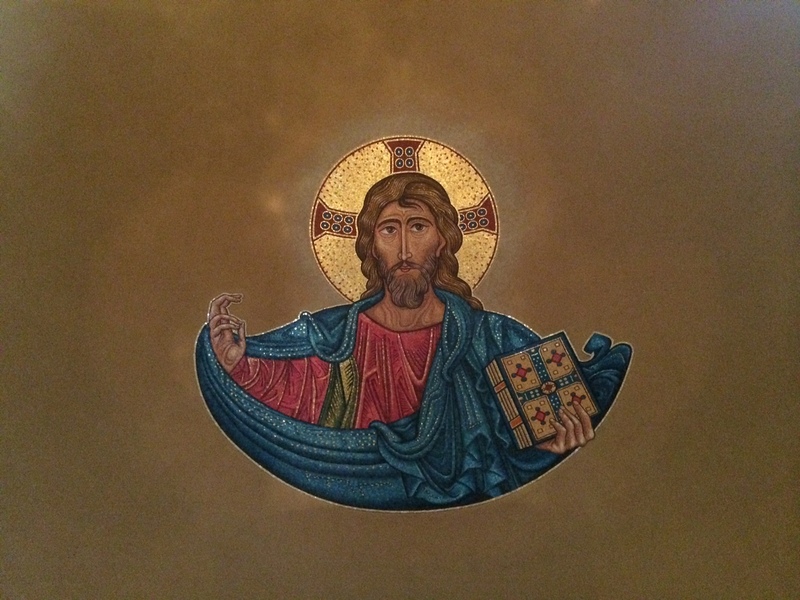 Andrew’s Homily Podcast – Preparing for our Best Lent! Would you like to learn a little more about the Eucharist? Why we do what we do as Catholics? How to get more out of Mass? How to let the power of Eucharist shine through your life? This Parish Mission was given at St. Dominic Church in Frederic, WI on March 8, 2014. The first talk draws on the Gospel story of Emmaus (Luke 24:1-35) and the writing of St. Justin Martyr. It then outlines the teaching and command of Jesus to receive the Body of Christ so that we become the Body of Christ. The second talk offers a series of practical points on how to prepare and participate in the Mass so that its power can direct our lives. The third talk discusses how Eucharist and Adoration can nourish our spiritual lives and then goes on to connect with a reflection from Pope Francis (given on February 21, 2014) that shows three distinct ways that the Eucharist inspires a Catholic Way of Life. Each talk stands alone. While they are all interconnected you may listen to them as a group or individually. Either way, may the Eucharist – the source and summit of our prayer life – renew our hearts with the grace of Jesus Christ!